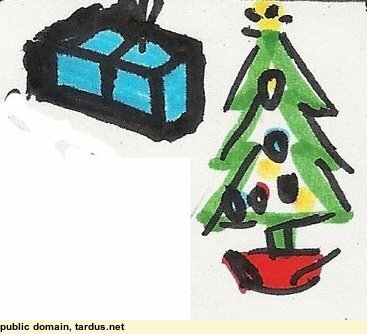 Do you get excited waiting for Christmas to come? There is the Christmas tree, and the lovely decorations, the lights, the family get-together, the feast, and of course the presents! The first Christmas, over 2000 years ago, is what gave us all these exciting things, because that first Christmas was more lovely and gave better presents. It was so good that its good things flow down to us even after so many long years! Four things tell us the story. In the land of Israel 2000 years ago the was a young woman named Mary. She was engaged to be married to Joseph, the local carpenter. 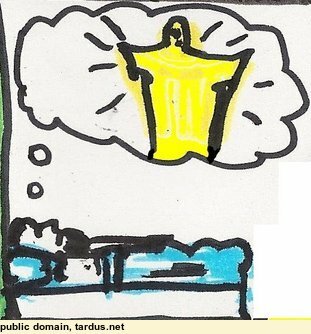 However, before the wedding day came she was startled one day by a visit from an Angel of God! That doesn't happen very often at all. Even more surprising was what the Angel said to Mary - "You are going to have a special BABY boy! He will become the great man God has long promised to send." Now Mary was still a virgin, she had never lain with any man, and did not expect to have a baby till well after her marriage to Joseph. "Don't be scared" said the Angel, "for this BABY will be God's Son, and not any man's son. The Holy Spirit of God will come to you and make this all happen." Mary replied "I am God's servant, and I am ready." Poor Joseph was worried when he found out that Mary was having a baby. "Whose baby is this?" 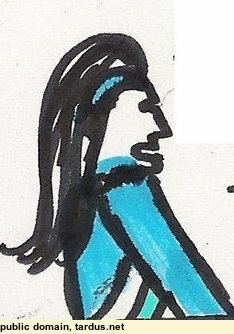 he thought, and being a kind man he was going to call off the wedding quietly so that nobody would laugh at Mary. Joseph went to bed still thinking about this. While he was dreaming, an Angel came saying "Joseph, don't be afraid - take Mary as your wife. Her baby is God's baby, not a man's. He will be a boy, and you must name him Jesus", which means God SAVEs. This child was to be the SAVIOUR. Perhaps you have been at the beach and seen the lifesavers' yellow safety flags. 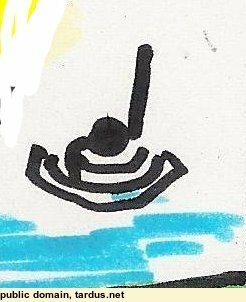 Often people swim outside the flags anyway, thinking "I'll be OK!" Often a swimmer gets dragged out to sea by a rip current. What does a wise person do when that happens to them? A wise one says "I'm in real trouble, and I can't save myself!" They wave their arms to signal the lifesavers! What do they do when the lifesaver reaches them? Kick and splash frantically? No, that just makes things worse - they must just relax in the arms of the lifesaver, who risks his own life for them. Only then are they safe. There is something worse than drowning - we have all done wrong things, and they shut us all out of the endless happiness God made us for (nothing bad and wrong can live there with God). 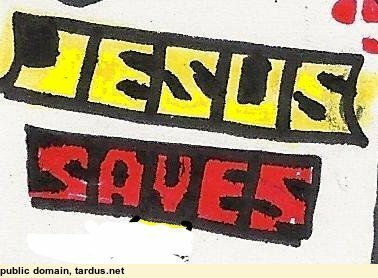 God is very good, and sent us a LIFESAVER. 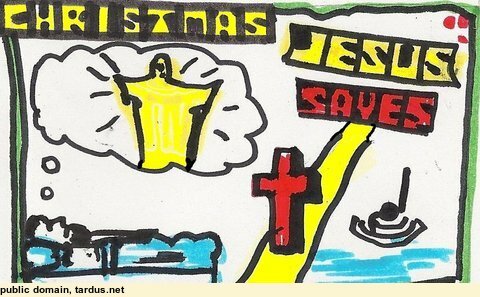 He did more than risk His life for us, He died for us, in our place, so that we may live forever with God at the last. Jesus grew up to be a man, and made a pathway to heaven by the cross that He died on. 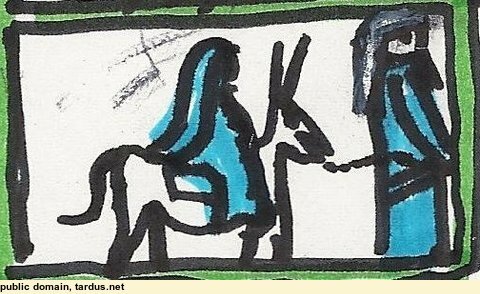 Joseph and Mary had to go to the town of Bethlehem, which was crowded with visitors. 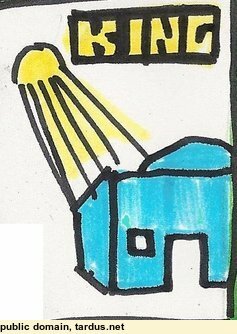 It was time for the BABY to be born, but the only bed they could find was a pile of straw in a barn, among the animals. 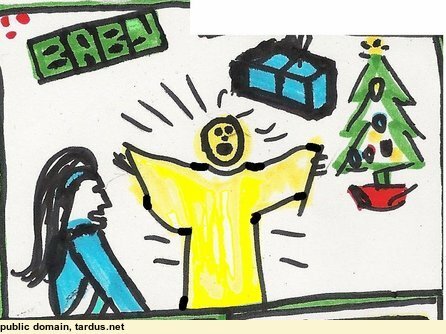 It was there that baby Jesus was born, into a poor family, and in the poorest part of a little town. Not many people even knew He had come! Some months later, some very wise men from an eastern land arrived at Jerusalem, the capital city of Israel, where bad King Herod sat on his throne. 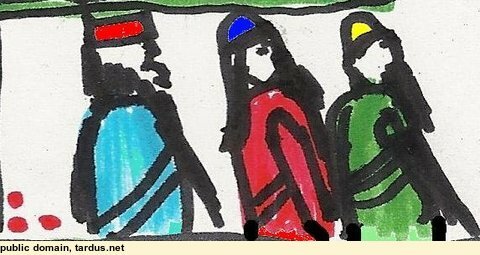 These men, called the Magi, had travelled many weeks to reach Israel, saying "Where is the one who has been born KING of the Jews? We have seen his star in the east, and have come to worship him." 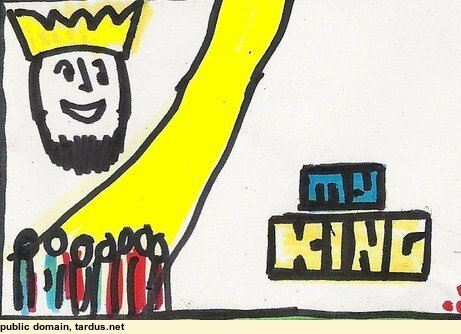 When King Herod heard about another king, he was angry, but pretended to want to worship him too. "Tell me when you find him" he said, but really he wanted to kill the baby! 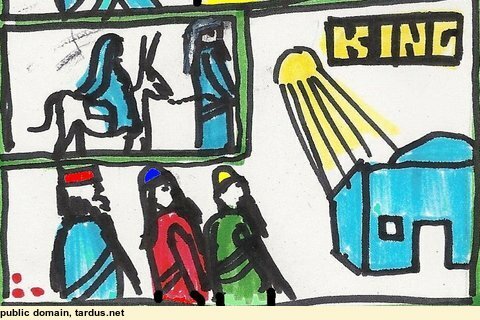 A bright light in the sky had signalled to them that God's great King had come, and they set out to find him. As sightseers? No, to worship him, for they knew He was more than just another man, another king. At last they found the baby Jesus in Bethlehem (just where one of God's servants, Micah, had said, over 400 years before). They were so happy to have found Him. Much to the surprise of Mary and Joseph they bowed down before the young child Jesus and worshipped him as they would worship God Himself, and gave Him presents fit for a KING - gold, and other precious things. When the time came for them to return home, an Angel warned them not to tell wicked King Herod where the baby was, so they went home another way. King Herod did not want another king - he wanted always to be king himself (which was silly, for he too must die one day). He wanted to be his own king, and not obey anyone else, even the King of the Universe, God Himself. Herod would rather be a sad little king than be a happily-ever-after servant of the True King, Jesus. Jesus came as a baby and died as a man to make a road to heaven for us. One day He is coming back as the great king, the true KING, to gather us up to Himself in heavenly happiness. 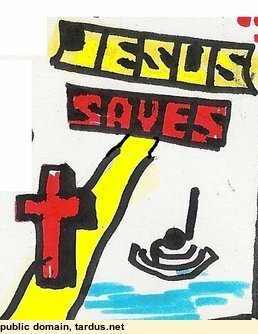 All we have to do, like the drowning swimmer, is call upon Him for help, and let Him wrap His SAVIOUR's arms around us. 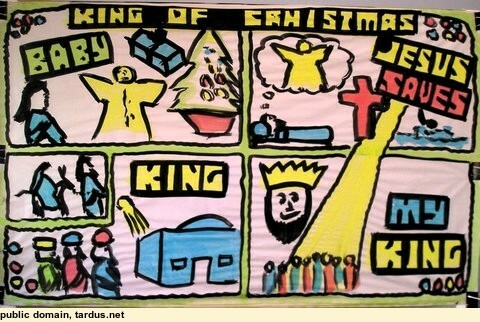 That is what it means to make the Lord Jesus MY KING, and the true KING OF CHRISTMAS. 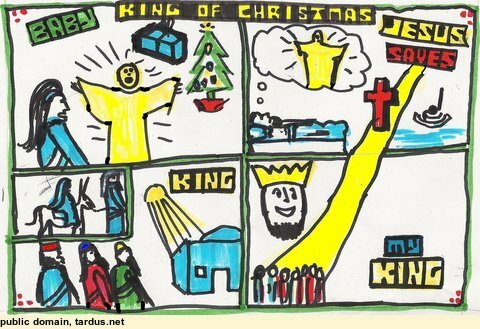 This Christmas, will you say to Jesus, "Please be My King"? Boys and girls, Dads and Mums, Uncles and Aunties, can and should say this. Will you ask Him to be your King? It is the only way to true happiness, because your wrong things will be swept away, and Jesus will call for you one day.